Follow the FLM Sports and Entertainment Facebook page to stay tuned for all our activities! 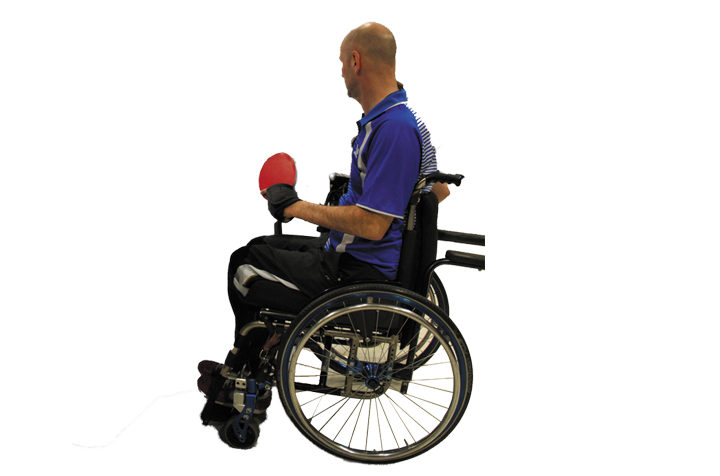 Table tennis is a Paralympic sport with an enormous power of integration. It combines reflexes, speed and intelligence and requires a moderate physical effort. • Competition: You will be able to compete within the two teams we have in the Madrid Territorial League. Our players have won some medals in different Spanish Championships. • Beginners: You will have the opportunity to learn or keep on improving in this great sport. 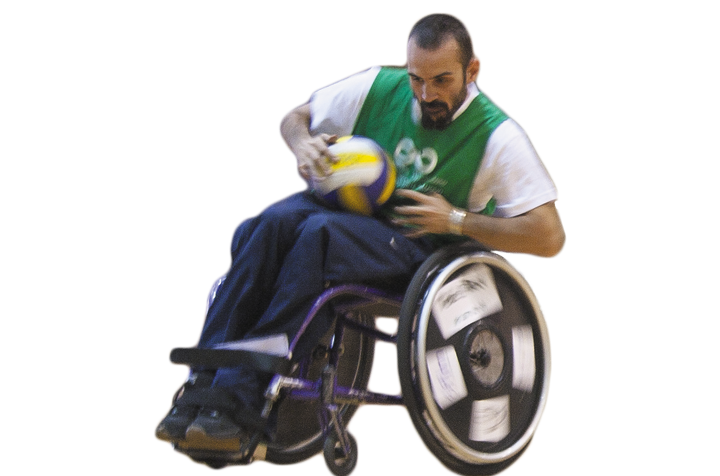 You can be part of the first wheelchair rugby , or quad-rugbyAbrir en una nueva ventana , team in Spain, which was created in October 2011. It is an Olympic sport since 1996, specific for tetraplegics. It combines elements of rugby, basketball and handball. Included in the Spanish Sports Federation of People with Physical Disabilities (FEDDF), so we can fight to contest in the first Spanish Championship. You will be able to work on physical condition, you force, resistance, speed, coordination and balance in a sport where the technique is as important as the collective tactics. Pass, receive, throw the ball, block the opponents until you reach the opposing goal line and score more goals than the opposing team. 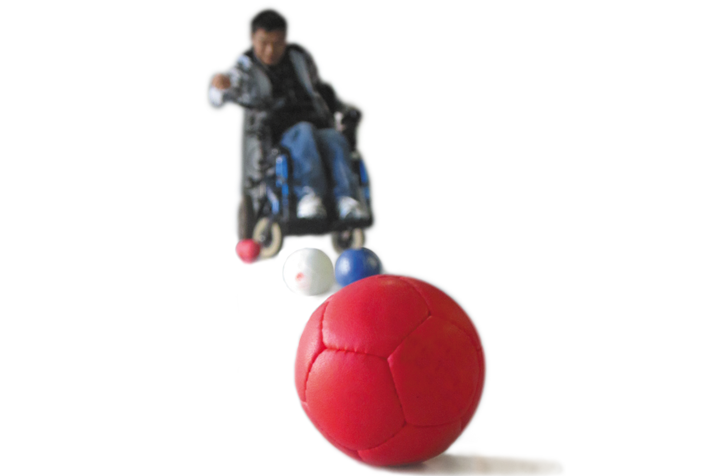 Boccia is a Paralympic sport similar to boules, whose practice is intended for people with total or partial disabilities in their extremities that use a wheelchair. You will work on your balance, coordination and strength in the upper limbs. Check your accuracy and aim by throwing the balls and work on your strategy to leave them closer to the white ball than the rival. This season we started a new modality: stacking. 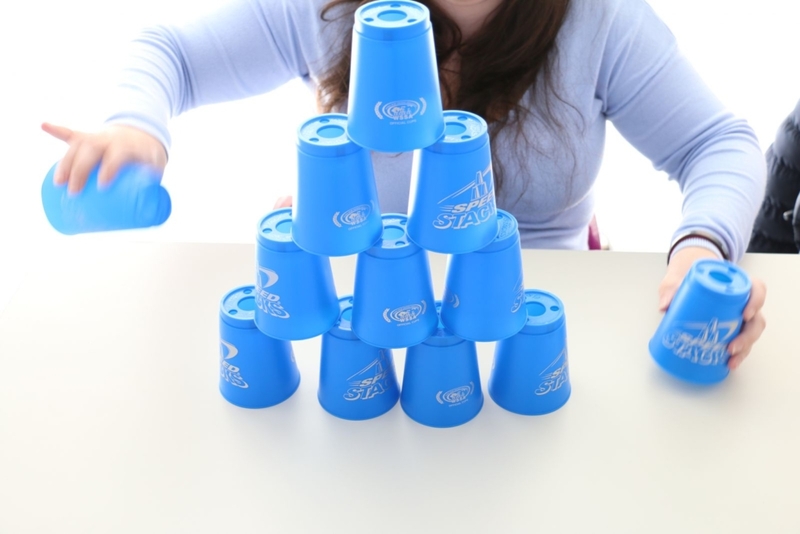 A sport recently introduced in our country which is about assembling and disassembling pyramids in predetermined sequences with plastic cups specially designed for this purpose. The participants compete against the clock or against another player. All people with the ability to hold glasses, stack them and drop them is ready to practice stacking. It is a fun sport which highlights the will to improve day by day. It has many therapeutic advantages, since the hand-eye coordination, the laterality and the development of both hemispheres, the speed of response, the differentiated work of the fingers, etc. are developed. Other benefits, such as improving the attention and the memory and increasing self-esteem, are also achieved. Go ahead and try it, you’ll see how you become addicted!